Ursinus College received a B.
Washington Monthly's ranking of 87 out of 224 of Affordable Elite Colleges - Overall Rank was a major contributor to this grade. Ursinus College is a very small liberal arts college in Collegeville, a very small town located just outside of Philadelphia, a very big city. The liberal studies curriculum here, which requires ample courses in English, math, science, and foreign languages, is probably one of the reasons that three out of four eventually go to grad or professional school. What is a typical Ursinus College student like? Describe the type of person that should attend Ursinus College. 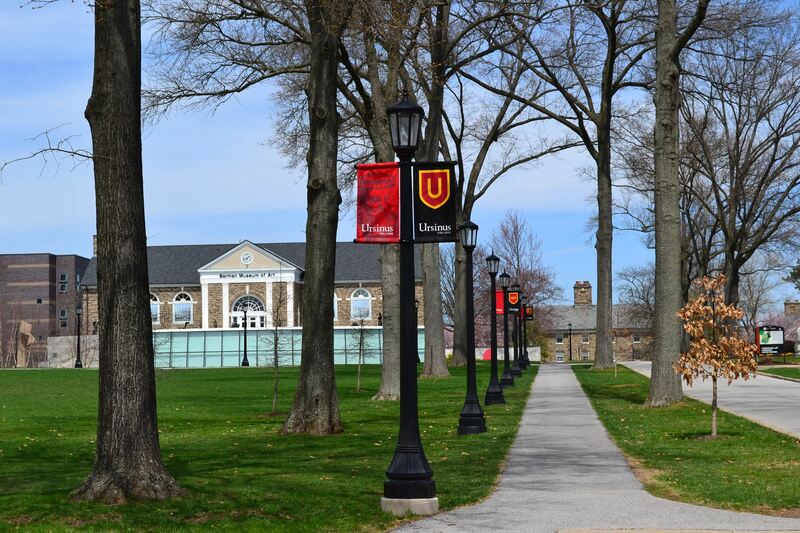 What are the top 3 reasons someone should attend Ursinus College? What was a typical Ursinus College student like in high school? Describe the type of person that should attend Ursinus College. Has returned to its liberal arts roots - even expanding its offerings and restructuring it core curriculum. Provides students with the opportunity to work closely with an esteemed faculty and the tools to grow into mature adults. Grades, test scores, and class rank count for more than anything else. 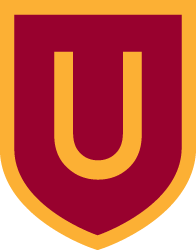 Ursinus College is a selective, residential college with 1,650 students that is widely recognized for its Common Intellectual Experience. Founded in 1869, Ursinus is an undergraduate liberal arts institution that provides a rigorous curriculum that empowers the intellect, awakens moral sensitivity and challenges students to improve society. 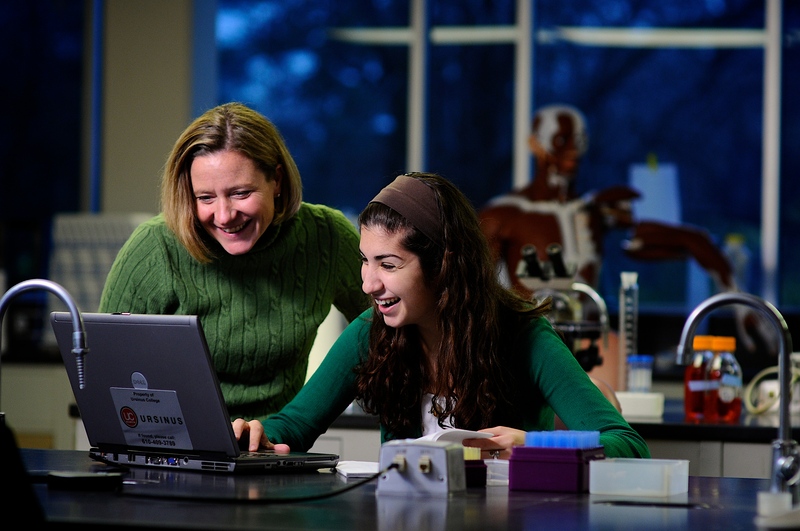 Ursinus College offers Bachelor of Arts and Bachelor of Science degrees in more than 60 majors and minors/ The student to faculty ratio is 12:1, and the average class size is 15-20. The tree-lined, 170 acre campus abounds with sculptures and artwork, and is located 25 miles northwest of Philadelphia in Collegeville, Pennsylvania. 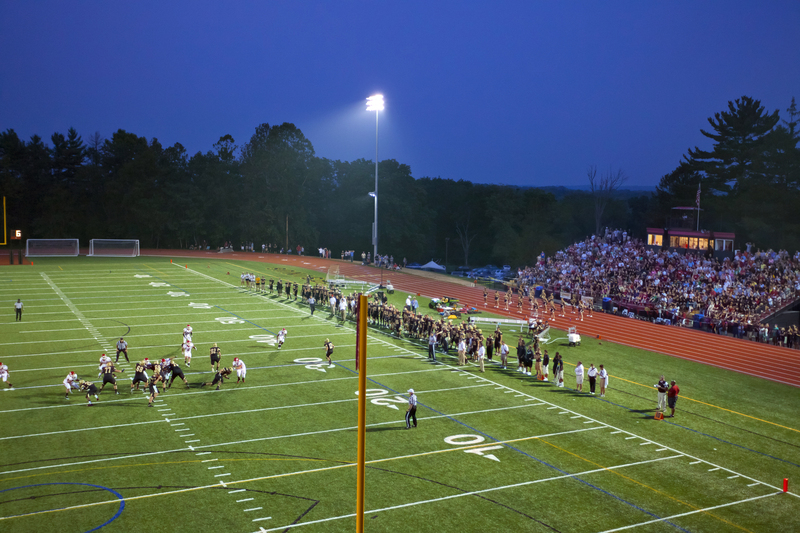 Ursinus College is a member of the NCAA Division III Centennial Conference and fields 25 varsity teams. For more information, visit ursinus.edu. 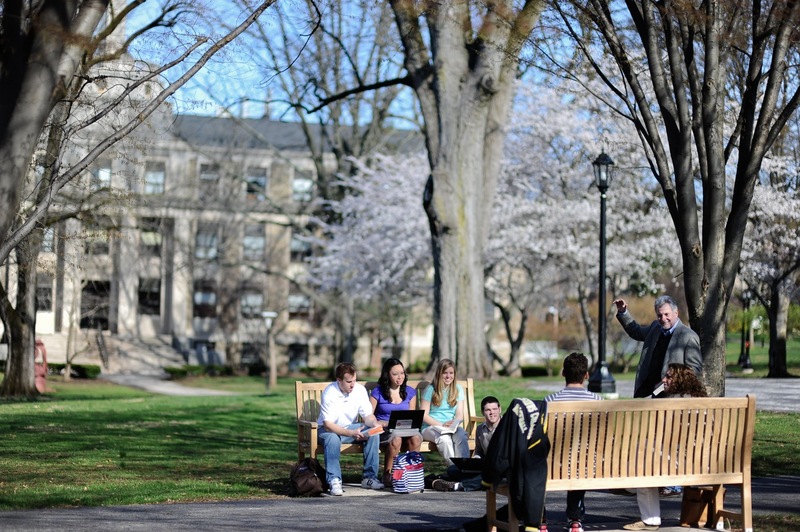 The mission of Ursinus College is to enable students to become independent, responsible, and thoughtful individuals through a program of liberal education. That education prepares them to live creatively and usefully, and to provide leadership for their society in an interdependent world. Liberal education is provided through an academic program that empowers the intellect, awakens moral sensitivity, and challenges students to improve society. Students gain intellectual curiosity, the capacity to think analytically, critically, and creatively, and the skill to express thoughts with logic, clarity, and grace. Further, they develop a deepened sense of human history and an understanding of who they are as persons, what they ought to do as citizens, and how they best can appreciate the diversity and ambiguity of contemporary experience. What are the top 3 things that students do for fun at Ursinus College? We take trips to Philadelphia on the weekends, we attend shows performed by fellow colleagues, and we invite our friends to classrooms to watch movies on the overhead projectors. Campus housing is available for undergraduates. Housing deposit : $500.00. Housing deposit due : May 1. Housing deposit is not refunded if student does not enroll.. No cars. No pets. 10% of male students live in fraternities. 15% of female students live in sororities. A program that focuses on the systematic study of ethical issues in the workplace and public life, and the application of ethical decision-making to the practical problems of society and the professions. Includes instruction in ethical theory; history of ethics; contemporary social dilemmas; methods in applied ethics; and applications including medical ethics, legal ethics, business ethics, environmental ethics, and criminal justice ethics. A program that focuses on the history, society, politics, culture, and economics of one or more of the peoples of East Asia, defined as including China, Korea, Japan, Mongolia, Taiwan, Tibet, related borderlands and island groups, and including the study of the East Asian diasporas overseas. A program that focuses on the history, society, politics, culture, and economics of the peoples of Japan, and related island groups and coastal neighbors. Any instructional program in Anthropology not listed above. A program that combines sociology and anthropology to study how society is organized, the origins and development of social institutions, social change, social organizations, race, class, gender and culture. 70% of students graduated in the top quarter of their class. The average student pays $32,254 for tuition, fees, and other expenses, after grants and scholarships. Total stated tuition is $44,350, in-state and on-campus, before financial aid. Learn more about financial aid at http://www.ursinus.edu/financialaid. Estimate the net price for you at http://collegecostcalculator.org/ursinus. 75% of students graduated on time. 89% of full time students continued studying at this school after freshman year. The typical (median) early career salary of Ursinus College graduates is $40,400, according to Payscale. Ursinus College participates in the NCAA Division III for college athletics. Want more info about Ursinus College? Get free advice from education experts and Noodle community members.